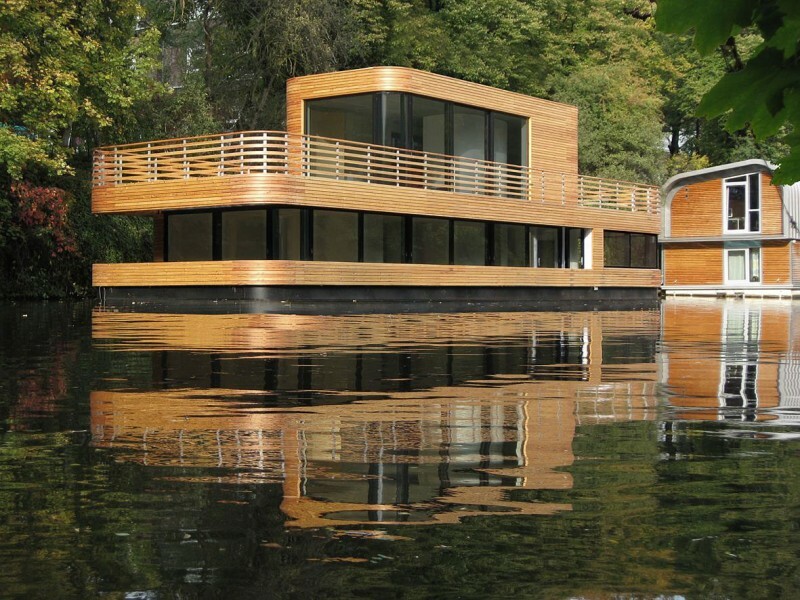 Hamburg-based studio Rost Niderehe Architects has designed this 1,184 square foot houseboat on the Eilbek canal in Hamburg, Germany. 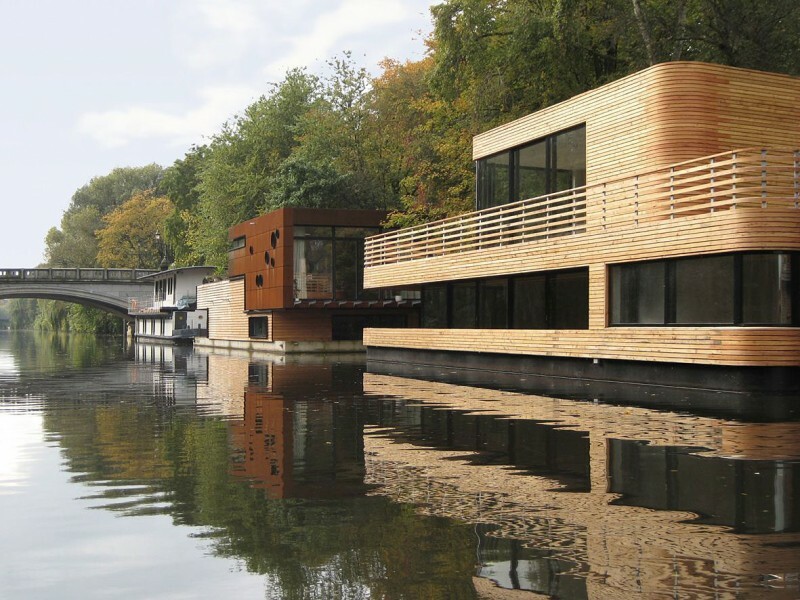 “The original idea has been to design a houseboat that essentially has the character of a boat in combination with the comfort of a traditional family home. The formal architectural language should be clear and simple. 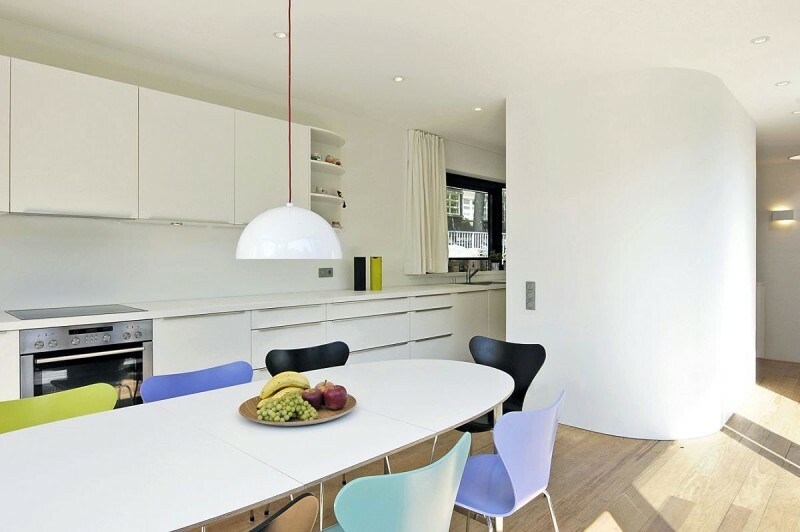 This is reflected both in the floor plans as well as in creation of the individual rooms. 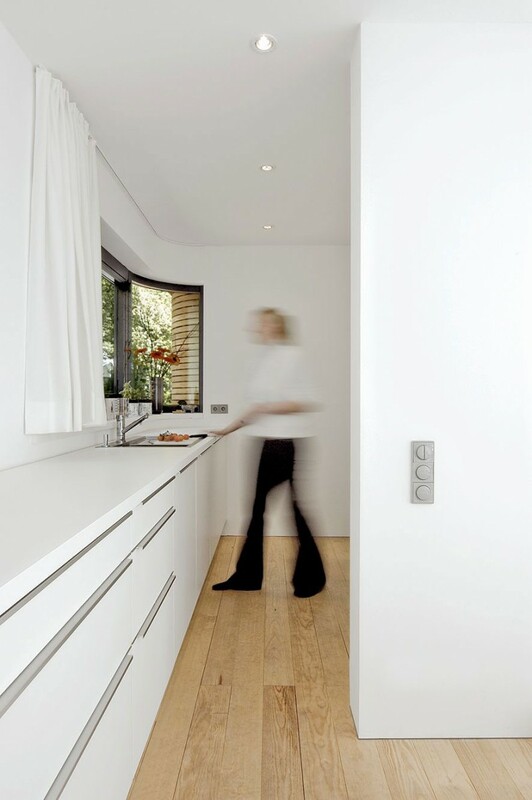 Using a single wall that wraps like a spiral from the outside to the inside, the rooms are developed from public use on the outside (kitchen, dining room) to private use on the inside (bedroom, bathroom). 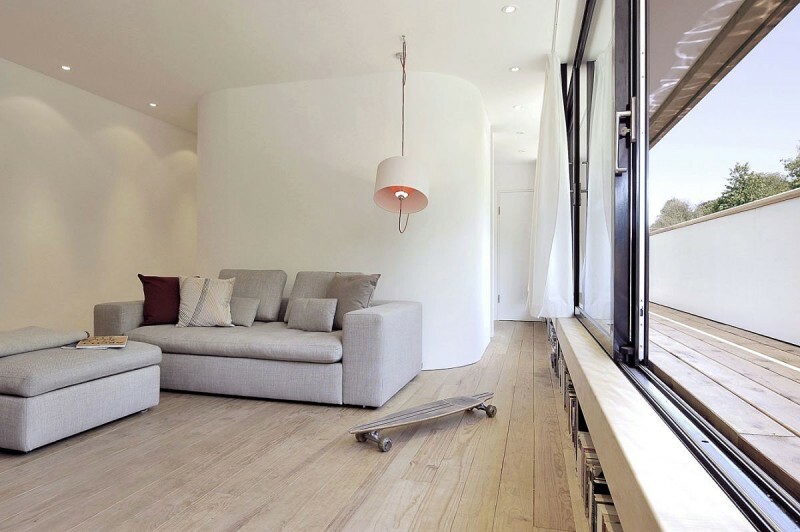 The spaces for public use are located on the upper deck, this being the entrance level; spaces for private use (work, living- and bedrooms) are located on the lower deck. The chosen materials (mainly steel and wood) are influenced by both areas of provenance of the design – naval architecture as well as normal building construction. The residents work and live on the houseboat – in the middle of the city of Hamburg, surrounded by the green belt of the Eilbek-canal. When the mooring area has to be changed, it is easy to move the houseboat to its new destination with the help of a tug.